An update to our premier arcade/puzzle game is available. Digital Gamecraft has published Demolish! Pairs 1.10 on the App Store, where you can buy it for only $3.99 (US). This is, of course, a free upgrade for all existing customers, downloadable from the ‘Updates’ tab on the App Store. Download and play Demolish! Pairs now! Demolish! Pairs 1.10 is an upgrade that updates the program interface for iOS 7.x and adds 64-bit support. 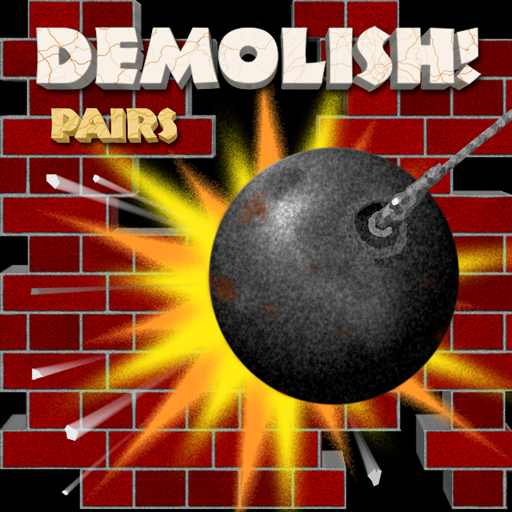 For more information on the game, please visit DemolishPairs.com. While supplies last, readers of this Gamecraft blog may receive a code for a free copy of the game simply by sending an email request to marketing@digitalgamecraft.com. This entry was posted in Products and tagged arcade, game, iOS, iPad, iPhone, puzzle, software by Gregg. Bookmark the permalink.